We proudly recommend kitchen faucets from Kohler, Wisconsin! Come visit our showroom floor located at 1840 S. Highway 92 in Sierra Vista, Arizona and, we will help you select your Kohler faucet based on price range, color/finish, product family, number of handles, spray type, spout type, number of sinkholes, ada compliant, gallons per minute and/or water filtration. 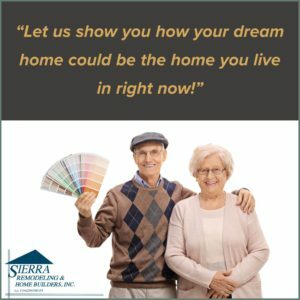 Give us a call at (520) 459-3164. Product designer Gregory de Swarte discusses the features of this faucet, which lets users flow through tasks more quickly and easily. Watch product manager Sarah Fitzsimmons discuss the practical high-arch spout, spray options and pull-down design of the traditional Vinnata faucet. Watch product manager Sarah Fitzsimmons discuss the practical high-arch spout, spray options and pullout design of the stylish Purist faucet. Watch product manager Sarah Fitzsimmons the spray features, high-arch design and pullout sprayhead of the functional Evoke kitchen faucet. Learn more about our Kohler kitchen faucets! Visit our showroom floor located at 1840 S. Highway 92 in Sierra Vista, Arizona or give us a call at (520) 459-3164.